The Old Foodie: Encyclopaedic Food. The first edition of the Encyclopædia Britannica was published on December 6th in 1768, creating for us 238 years later the challenge of finding a related recipe for the day. It turned out to be surprisingly easy. I cannot say with absolute certainty that the twenty-first century online version of the famous reference completely lacks recipes as I admit to not reading every word of the work. I have briefly browsed the “B’s” in the modern and the 1771 version of the encyclopaedia however, figuring that Bread and Beer were good places to start. On “Bread” the modern version has 541 words, on “Baking” it has 58 words, giving us a total of 599 words. Number of recipes: NIL. 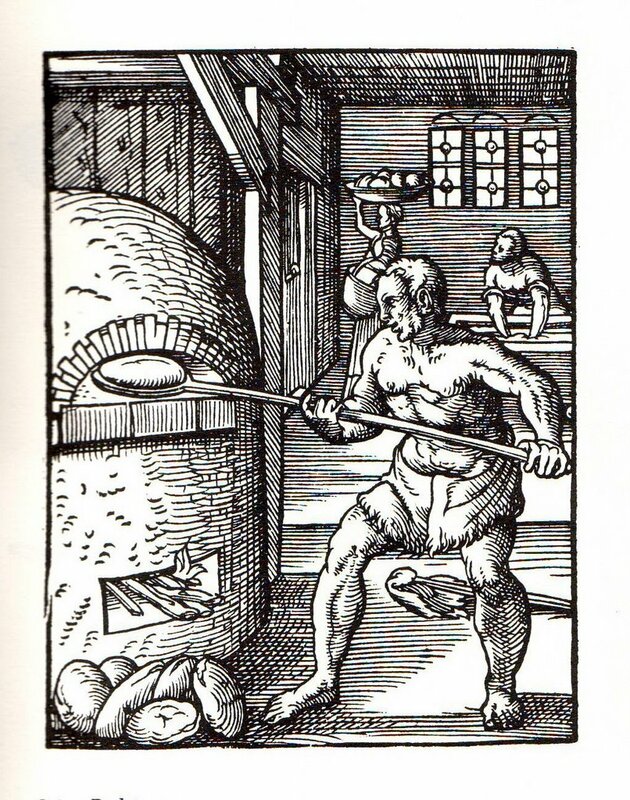 On “Bread” and “Baking” together, the 1771 Encyclopaedia has a total of 445 words. Number of recipes: THREE. BREAD: a mass of dough, kneaded and baked in an oven. See BAKING. Bread ought to be well kneaded, and seasoned with a little salt, otherwise it is accounted very unwholesome. ……. French-BREAD. To make good French bread, for every two quarts of flour, add six spoonfuls of ale-yeast; also milk and water warmed; a bit of butter,and a little salt: make them pretty light, and letting them rise before the fire, bake them in a quick oven. Some put the yolks of six eggs, and the whites of two, to this quantity, but others think the bread better without them. BAKING: the art of preparing bread, or reducing meals of any kind, whether simple or compound, into bread. The various forms of baking among us may be divided into two, the one leavened, the other for unleavened bread; for the first, the chief is manchet-baking, the process whereof is as follows. The meal, ground and boulted, is put into a trough, and to every bushel are poured in about three pints of warm ale, with barm and salt to season it: this is kneaded well together with the hands through the brake; or for want thereof, with the feet, through a cloth; after which, having lain an hour to swell, it is moulded into manchets, which scorched in the middle, and pricked at top, to give room to rise, are baked in the oven by a gentle fire. For the second, sometimes called cheat-bread baking, it is thus: some leaven (saved from a former batch) filled with salt, laid up to sour, and at length dissolved in water, is strained through a cloth into a hole made in the middle of the heap of meal in the trough. 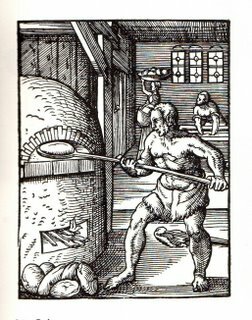 This is worked with some of the flour into a moderate consistence; this is covered up with meal, where it lies all night, and in the morning the whole heap is stirred up, and mixed with a little warm water, barm, and salt, by which it is seasoned, softened, and brought to an even leaven. It is then kneaded, moulded, and baked, as before. Such is the paradox of Progress. Modern sensibilities make us shudder at the idea of kneading dough with the feet, but the Great Modern Reference gives us no advice on the alternatives. As for “Brewing”, the editors of the eighteenth century Encyclopaedia saw fit to dedicate nine whole pages to the art. Modern editors mention the word in passing in relation to coffee and beer. Progress? December 6th is St Nicholas’ Day, and last year the story was about Gingerbread. The title was “The food which is also a Toy”, which also fits in nicely with tomorrow’s theme.